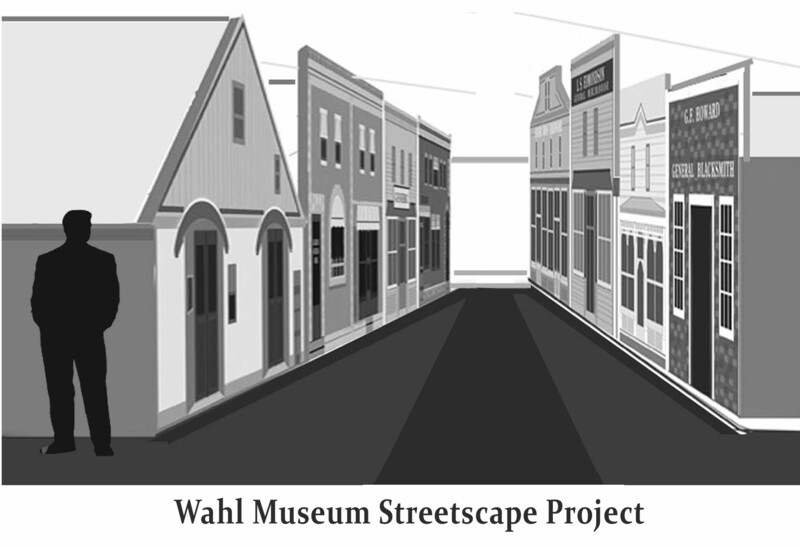 New exhibits are being planned for the 4800 square feet of space in the newly constructed Wahl Museum. Each will preserve and interpret an important piece of our local history. While each of the five exhibits will be unique, they will also show the connections between different time periods, events cultures and prominent citizens. You can follow the progress from planning to construction on this site. 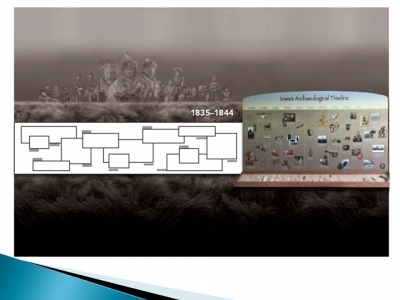 The first exhibit begins with a timeline of the Native Americans in Southeast Iowa from 13,000 years ago until 1835. The timeline is paired with actual projectile points found in the area, giving authenticity to the display. 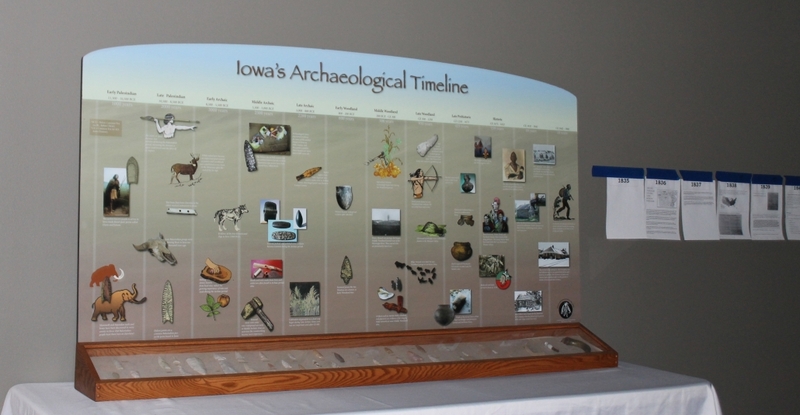 The Native American Panel was made possible through a partnership with Archaeologist from the Iowa Office of State Archeologists and a grant from the Historical Resource Development Program whose purpose is to preserve, conserve, interpret, educate the public about and enhance the historical resources of the state. 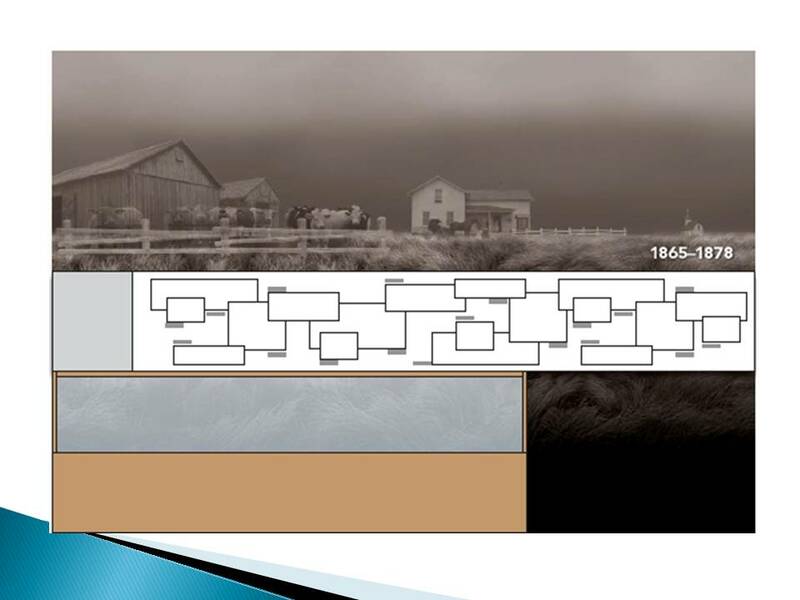 Wallpaper depicting the Native American peoples, a covered wagon, stagecoach and pioneer farm will be the backdrop to a forty foot timeline. The timeline will continue on the three adjoining walls from 1835 – 1878, sharing the history of the early settlers in the area. 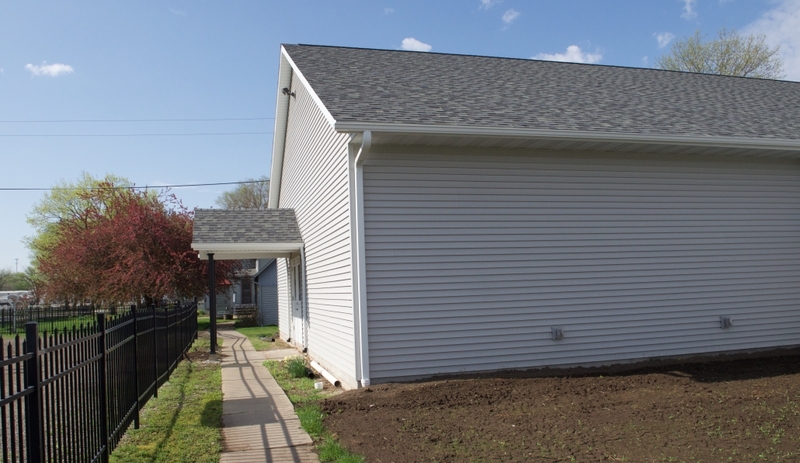 We are excited to show the strong connection to the growth of the agricultural economy, the significance to the coming of the railroad and establishment of businesses in the newly formed town of Kalona. Authentic artifacts will be displayed to help deepen the understanding of the forty years before the birth of Kalona. Completed: Native American Panel and Beautiful Richmond display case moved from storage to its new home in the Wahl Museum. Planning stage complete; currently at funding and construction stage. Please help support us as we preserve Kalona’s past by making a donation today. The second exhibit will preserve and interpret the history of western expansion of the railroad to the local area. The significance of the efforts and vision of the early pioneers to the procurement of the railroad company business was not only vital to the birth of Kalona, but also changed the course of history for the surrounding pioneer communities. The connection to the What Cheer Land & Coal Company will be interpreted in this exhibit and the significance of coal to the railroad and town. The second exhibit will connect the first pioneer exhibit to the third exhibit, the business community. In planning and funding stage. 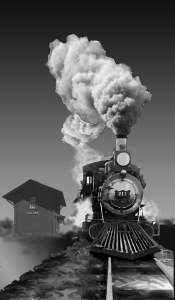 After the railroad company platted the town of Kalona a few businesses quickly moved from the surrounding pioneer towns to get a foothold in the new “railroad town”. The majority of lots platted were owned by the What Cheer Land & Coal Company and eventually sold to entrepreneurs starting their own businesses. The third exhibit will occupy 75% of the newly built Wahl Museum space. A small scale replica of the town of Kalona will be created. The original streets of Manatt, Myers, Barnes and Shaver will divide the area into six blocks, each block consisting of individual stores. The stores in the first two blocks will depict the 1879-1900 time period. The 1900-1925 time periods will be depicted in the next two blocks and the 1925-1950 time periods will be depicted in the last two blocks. The store fronts will be modeled from authentic photographs of the stores during the appropriate time period and the interior will be created also using photographs for guidance and authentic artifacts currently in storage at the museum. Over the past two years research, interviews and consultation with experts in the field have been conducted to ensure the historical representation of our local history is accurate and as complete as possible. 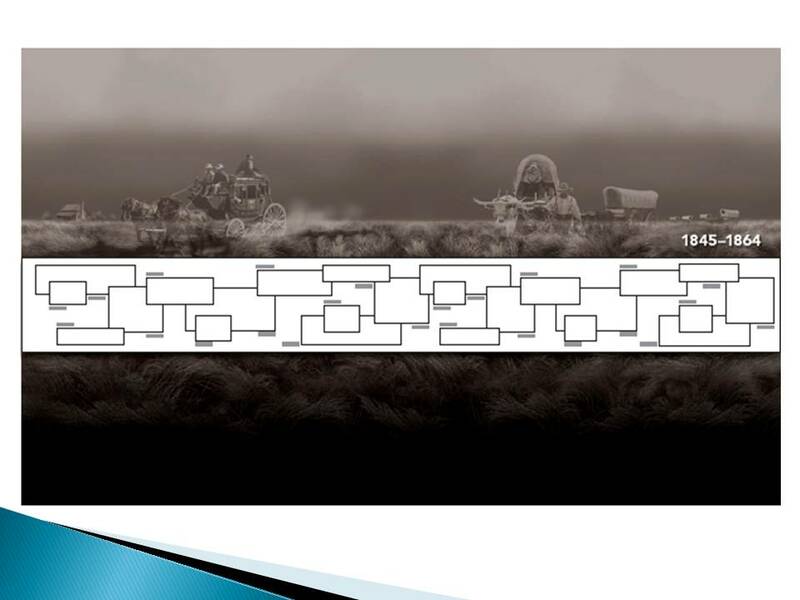 The connections between people and events have been a focus to provide more relevance and significance to the project. 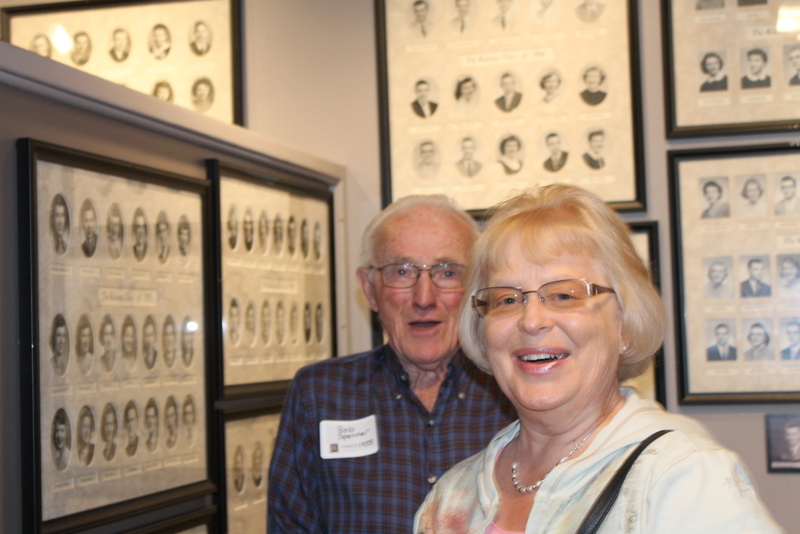 The connection of the last two exhibits in the Wahl Museum provides a more complete history of our community. After several pioneer families settled in the area one of the first community projects was to build a school. 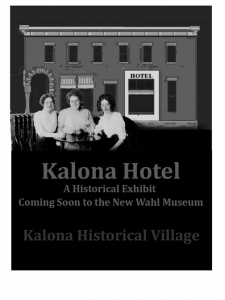 The fourth exhibit will interpret the history of the schools in the area, most significantly the Kalona High School. 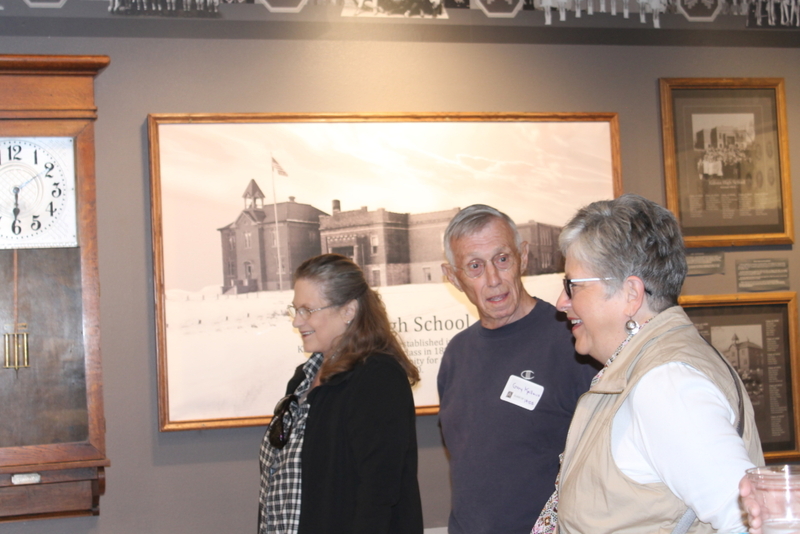 Reopening of the Kalona High School Exhibit – a reception was held April 16th. Alumni, family and community members attended to celebrate the completion. Thirteen volunteers were recognized for their part in the completion of the exhibit. Alumni Gary Kallaus shares stories with community members Kathy Shellady and Brenda Reese Miller. 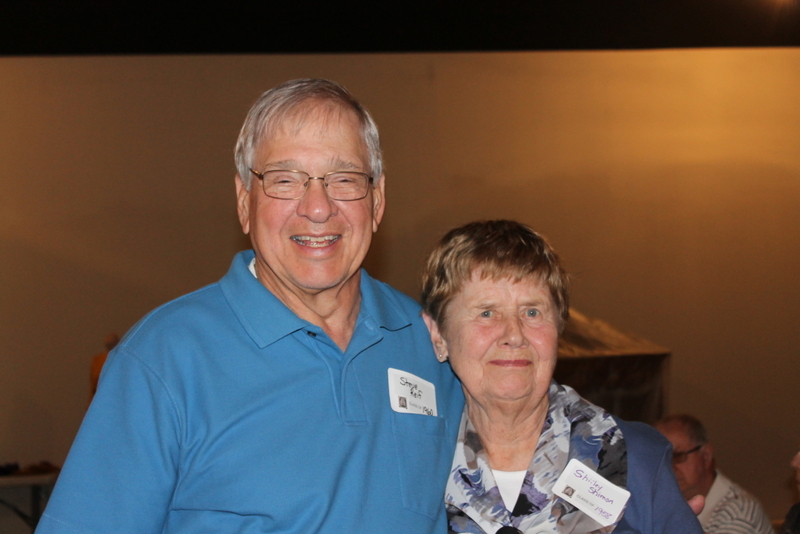 Alumni Robert Spenner and volunteer Jeanne Stracuzzi. The final exhibit will interpret the history of the civic organizations in the community, some dating as far back as the late 1800s. The contribution of these organizations to the health and growth of a community is significant and important to share. Upon exiting the newly built Wahl Museum it is hoped visitors gain a more complete understanding of our community’s history and its significance. 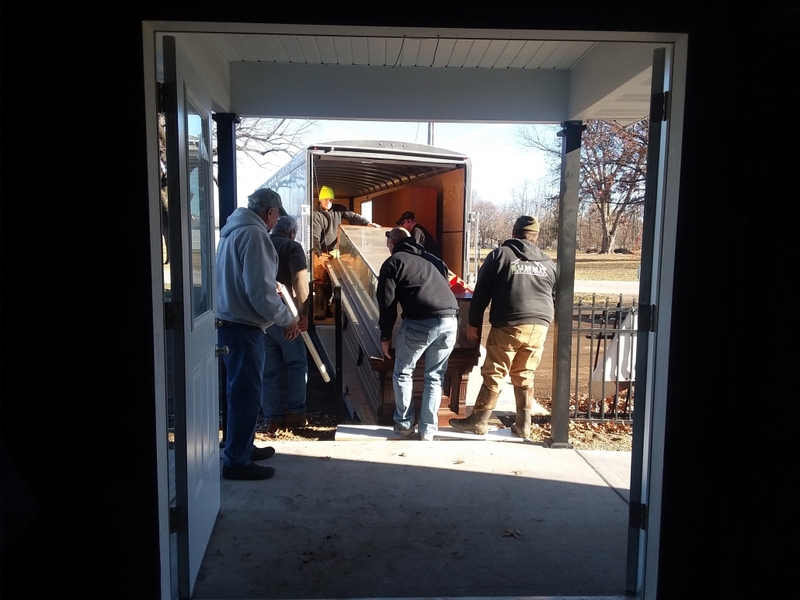 The construction of the new Wahl Museum building was made possible through individual and business contributions, fundraising, and grants from the Washington County Riverboat Foundation and Rotary International.